The traditional cutting techniques in the Japanese cuisine are tanzaku-giri in thin strips and icho-giri in quarter rounds – cutting into ginkgo leaf shape. The latter is used for the cylindrical root vegetables. Since the end of autumn meant lots of ginkgo leaves fallen on the ground in Japan, I thought about mentioning this cutting technique in the kitchen. Ginkgo biloba is also called maidenhair tree. It is a fossil tree, unique in the nature. Some trees are female and others are male. The leaves have the shape of a fan. 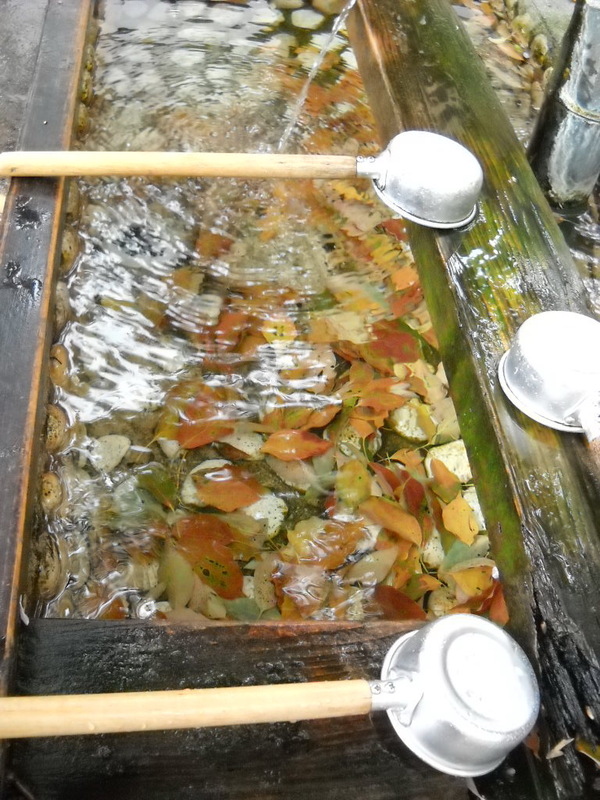 Ichou 銀杏 ginkgo means “silver apricot.” Its seed is called ginnan ぎんなん in Japanese and it is used in dishes such as chawanmushi – see the post on 12 October. "I have seen the moon as well, farewell to this world." Ware is a very formal “I” used in literary style. It is an autumn haiku by Chiyojo. Her last haiku, dictated on 8 September 1775. So appropriate for the beginning of autumn, when the Japanese people enjoy Otsukimi - viewing the moon. Though winter started in Japan on 7 November, I am saying good bye to this year's autumn tonight. For most of us the winter months are December, January and February. In Japan, winter is between 7 November and 3 February, and spring starts on 4 February. 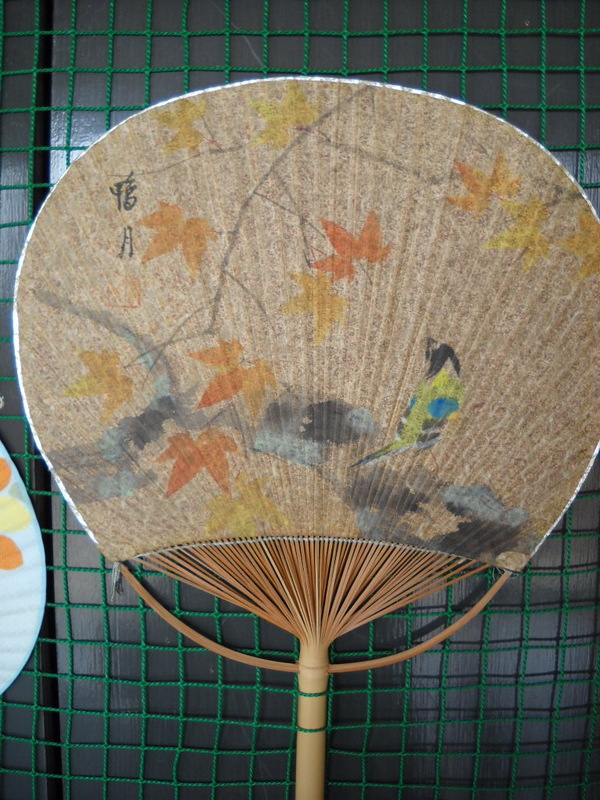 Autumn pattern - maple leaves - on uchiwa fans, presented on 15 June. The kanji below is bun, probably a school nearby.